As you know, everyone’s crazy for social, but when it comes to figuring out social, suddenly the room gets very, very quiet. Fortunately, we think we have solved a good part of the social problem with our new partnerships. In the past, we may have handed off troves of content to a client, only to have that content not be used to its fullest potential. Or, a client would hand the content off to another social media group who had no hand in developing it and, once again, missed out on fully bringing it to life. Now, we plan out your whole social media for the entire month. Since we’re the masters of the content, we know just how to get the most of it, and we make your life easier by not having to figure out what to post where each day. We get to do what we’re good at, and you get to keep doing what you’re good at (and not worry about all that pesky social!). We can now charge a lower monthly amount because we’re not monitoring each post for content or answering daily or weekly questions about posts done by third parties. We of course keep a close eye on your accounts, but this model cuts down on a lot of unnecessary back-and-forth and emergency intervention. We hope these new Social Media Partnerships make your lives easier, free up your time to do what you want to be doing, and help out your bottom line. Maybe you’re more of a DIY type. Maybe you’d like to create and plan your own content but you know your efforts haven’t been as effective as they could be. That’s where the Social Mini comes in. We meet with you and create a social media brief where we fully suss out your brand’s social media goals and develop a content strategy around them. For a week or two, we head back to the lab where we create and plan your posts. Once you approve, you hand over the keys (your logins!). We get everything planned and posted for 2 months while you sit back and watch how it’s done. All social minis conclude with a summary session where we show you what worked and why, what you should do more of, and what you should drop. We send you off to navigate Social Media with a reliable map and compass in hand!! We know that some business owners are happy to plan and post their own social media content in-house. But few businesses have a full-time graphic designer and photographer on staff. And the reality is that in today's competitive landscape, your visual imagery needs to be on point to stand out. We can help! We offer graphic design and photography services and we work with you to create a package of visuals that enhance and zhuzh up your social messaging. We recently announced our social media partnerships, an entirely new model for making the most of social media content and metrics. Some of you want to know more about the nuts and bolts; you want to see some hard facts and numbers. You want to know about the businesses we’ve worked with and how it all panned out. So here are your numbers, nuts, bolts – and a couple of fun facts, too. Chef Anne Quatrano has been at the top of Atlanta dining for decades. As founder of Floataway Café, Star Provisions, W.H. Stiles Fish Camp, and the legendary Bacchanalia, her name is synonymous with exceptional (genuine) farm-to-table dining experiences. When you have a to-do list like Anne’s, it’s simply not feasible to develop and execute a social media strategy while continuing to oversee nearly every aspect of several successful businesses. But the reality is that a growing number of us make decisions about where we’re going to shop and eat based on what we see on social media. It’s an essential component of remaining successful as it is vital to appeal to the next up-and-coming generation. As one of the first to sign on for Treebird’s new social media partnership, we worked with Anne to establish social media goals for her businesses. We then developed a plan, organized the photo library, and went crazy creating content that puts the spotlight on the restaurants and all that they offer. The response to content on @StarProvisions has been phenomenal. As we keep an eye on the Instagram account, we see Atlantans commenting about how a photo of a chicken biscuit from Star Provisions or a shot of gulf shrimp with handmade pasta at Floataway made them hop in a car and GO. We get to do what we’re good at, Anne gets to do what she’s good at, and everyone’s happy. For a variety of reasons, Bob put the baton down for a while. But Atlanta never forgot him, and rare sightings were celebrated on social media with the hashtag #batonbob. When Bob was ready to put the costumes back on again, he was also ready to let Atlanta know that he is available for appearances, events, fundraisers, parties, birthdays, corporate events, weddings, and gatherings of all kinds. With traditional local advertising cost-prohibitive, Bob wasn’t sure how to get the message out. Treebird social partnership to the rescue! Baton Bob is a true Atlanta icon. If you’ve seen him around the city, chances are you’ve not forgotten the experience. As Atlanta’s “Ambassador of Mirth” Bob is known for spreading merriment and joy as he twirls his baton and marches through the streets of Atlanta in his flashy, frilly, sparkly and completely over the top costumes. 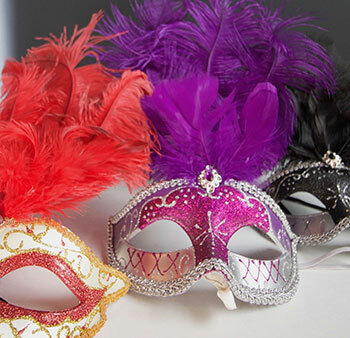 We had Bob bring his enormous collection of costumes, masks, and jewelry to the Treebird offices, where we did a photo and video shoot to create volumes of content to use on his Instagram account. Even before the first post went up, Bob had hundreds of followers, reflecting the city’s love. 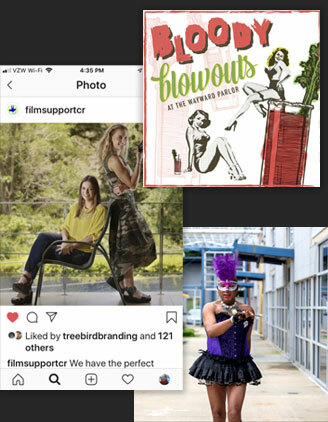 Using high-quality photos and videos created by our team of photographers and videographers, along with strategic use of hashtags, Treebird launched Baton Bob’s social media presence. In addition to posts focusing on his elaborate costumes and the energy he brings to the streets, we’ve also made sure that people in Atlanta know that Bob is available for hire. Many of his fans had no idea that he is a wedding officiant, MC, corporate team-builder, host, and all-around party starter. Baton Bob’s audience is growing every day. He’s getting booked for jobs and feeling the love from all corners of Atlanta. ZRS Property Management currently manages over 40,000 units for various institutional clients, partnerships and individual owners. ZRS also provides luxury apartments in a number of cities. When they began developing two new properties outside Dallas, Texas the team knew that social media would be a critical part of their marketing strategy. The challenge for Treebird? Well, for one thing, there was no there there. The buildings didn’t exist yet. We decided to play up all the other benefits to leasing these soon-to-be apartments, primarily the lively neighborhood and surrounding natural environment. We scheduled a photo shoot and went to Richardson, TX and snapped all the local bars and restaurants, parks and fun shopping spots. We also concentrated on floor plans, amenities, and aspirational lifestyle posts to build interest. Outreach to local businesses raised awareness and built interest in the properties before they actually existed. Once per month, we sent the team content to preview and approve. We also sent monthly analytics reports with top posts, user metrics, activity, content, and audience. The leasing team gets to do what they do best, while we made their lives -- and an essential part of With the apartments now open, social was handed off to the marketing team with both accounts at 800+ followers and near-daily leasing inquiries. their strategy – easier.